Rectangular panels composing a high facing. The decoration is composed of a kufic epigraphic band and a main section with a hexagons modular pattern which generates cross-shaped elements and lozenges. 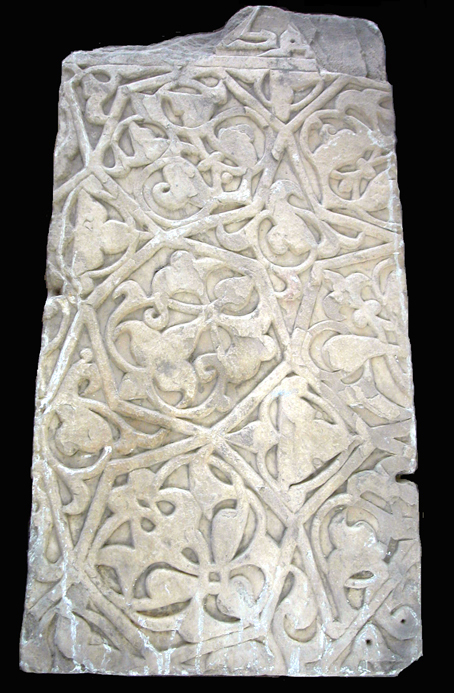 Different vegetal motifs fill the geometrical elements. The artifact was found re-employed in a ziyara of the Ghazni area in 1957.